AICTE is a regulatory agency with a mandate to define norms and standards for ensuring quality of technical education in terms of infrastructure, faculty, laboratories, library requirements and provide state-of-the-art model curricula, while it is the universities and its academic bodies who have to implement the curricula, conduct examinations and award degrees, says Prof. Anil Sahasrabudhe, Chairman, All India Council of Technical Education (AICTE), in conversation with Dipen Pradhan of Elets News Network (ENN). In today’s context, how are the student innovations and start-ups contributing to the development of the nation? Globally, innovations and start-up ecosystems have evolved around academic institutions. For instance, Stanford University, the University of Waterloo in Canada, the University of Helsinki in Finland, etc. Universities not only impart learning to students but also think about the sciences of tomorrow. So potential universities are the spinners of research and development, labs and technologies, providing world-class solutions. At universities, it is easy to reach founders, co-founders, faculty, human resources and learn about new ideas. In India, there is a lot happening for developing both ecosystem and successful innovators or start-ups. One of the fundamental aspects of the ‘Startup India’ action plan is that ignition should start at the college-level. There is a presence of AICTE by way of more than 10,300 AICTE approved colleges in almost all the 600+ districts of the country and about 25 lakh students graduate from these colleges. One day these students will either seek a job or become self-employed, or create jobs — and it is happening. In India, as well as globally, there is a lot happening for developing both ecosystem and successful innovators or startups. One of the fundamental aspects of the Startup India action plan is that ignition should start at the college level. What role can the universities and academic institutions play to nurture innovation and entrepreneurship? Universities and academic institutions are primarily engaged in the teaching-learning process. It is also important for them to innovate for new knowledge and take it to end-users. Most of the AICTE affiliated universities are equipped with good infrastructure, quality teachers and experts. Some are also linked with the State Government colleges. AICTE as a regulatory agency provides a mandate but academic curricula, methodology of examination, contents, strategy, etc, are managed by the respective universities. It is the responsibility of the State University to respond to AICTE’s call. NITI Aayog says that every month India needs to create two million jobs. Therefore, we need to ensure that universities also become a hub of job creation. A good number of entrepreneurs and innovators have come-out mostly from engineering colleges affiliated to AICTE. 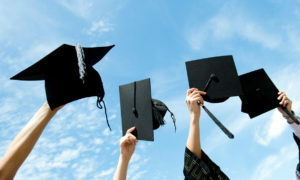 Universities and educational institutions have a major role to play in terms of changing their curricula, their academic intervention, creating incentives, culture, and create a support system for various parts of the value chain. Other regulatory bodies like AICTE can help them in capacity building and provide policies like AICTE Student Startup & Innovation Policy. What role is the Student Start-up and Innovation movement playing in the ‘National Innovation Ecosystem’ and ‘Startup India’? There are different layers involved in the ‘Startup India’ action plan. There are multiple ministries involved in it. Department of Industrial Policy and Promotion (DIPP) and NITI Aayog are looking into the regulatory support system, Biotechnology and Department of Science and Technology are engaged in incubation infrastructure, grants, fundings, etc, and the Ministry of Human Resource Development (MHRD) is involved in the ways of creating the culture, preincubation. Technically, the ‘Startup India’ innovation focuses entirely on student start-ups and innovations. It is because students are always bubbling with fresh ideas, they ask questions, and are well-versed in new trends and can think forward. 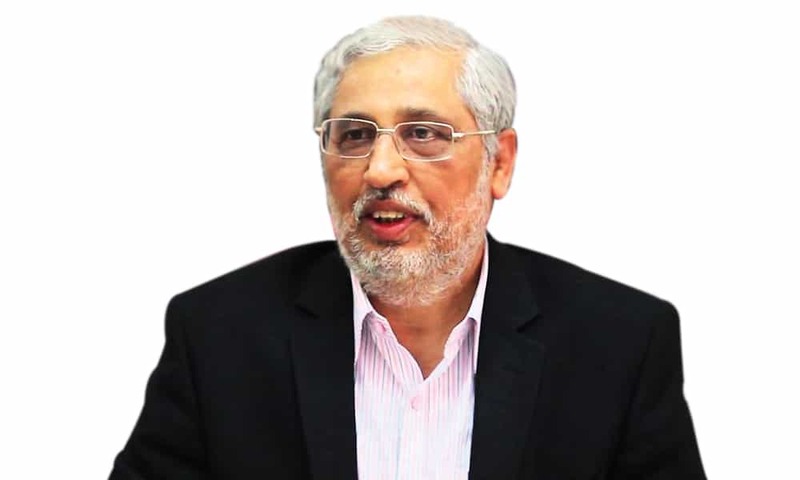 What has AICTE done so far to nurture student innovation and start-ups across the nation? The AICTE’s Student Startup Policy, published in November 2016, has the mandate to create at least one per cent entrepreneurs among graduates across universities/institutions or at least they should be self-employed. The AICTE Policy Implementation Committee has also been formed to create a roadmap on how to deploy the policy. AICTE is trying to integrate the support system of different ministries, particularly falling into the region to target preincubation and student startups. 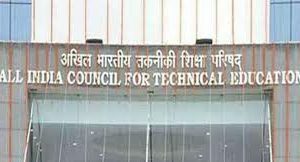 AICTE is also trying to pull in a support system together and create a pipeline to create a feeder network to all these institutions so that all the Ministries involved can get the best institutions and best students to avail the support that has been created. The National Student Startup Award and Science Festival are organised to nominate student startups for recognition and give them IPR (Intellectual Property Right) support, linking them with different incubators and government agencies. AICTE is trying to scale the initiatives of SSIP of Gujarat in other states. AICTE and NITI Aayog signed MoU on 6 July, 2017 to promote innovation and entrepreneurship nationwide. The MoU aims to strengthen the linkage between technical institutions, students’ engagement and mentorship opportunity with Atal incubation centres and Atal Tinkering labs being established in schools across the country. AICTE and the Ministry of Skill Development and Entrepreneurship signed MoU on 13 June, 2017 towards the mass creation of entrepreneurial-oriented, practising and skilled students in 3,050 technical and management institutions in next five years. AICTE and the Ministry of Small and Medium Enterprises signed a MoU on June 13, 2017, towards imparting skill and increase the employability of students completing their education and internship. 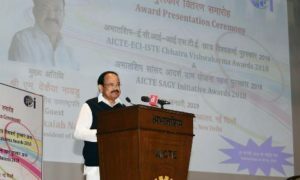 Innovation and entrepreneurship are being promoted through various national award programmes such as Clean Campus Awards, Vishwakarma Award and other awards programmes at AICTE. AICTE is also lining up with other ecosystem enablers such as DST and DBT supported incubation centres, NASSCOM 10,000 warehouse, ISBA, NRDC to strengthen the referral support to student innovations and startups with incubation and acceleration centre at national-level. AICTE’s target is to take along at least 10 per cent of approximately 10,000 colleges affiliated to it, where there is certain creative and innovation taking place, groom and promote them to the next stage by providing the support system and link them with different facilities. As a national regulatory agency, how will AICTE replicate the student startups initiative across the nation? Firstly we aim to benchmark best practices followed by the student innovation systems across universities, identify the best systems and highlight them in other parts of the country to help them scale up. Secondly the AICTE will create an index and a common IPR policy at the national level, so that these things trickle down to various States and universities. Thirdly we will be bringing together all the governmental support at the national-level and create a common pipeline so that anybody with merit can be easily noticed. Fourthly the AICTE will promote entrepreneurship in specific regions based on the resources available there. AICTE also needs to collaborate with global stakeholders to adopt their best practices. The AICTE startup initiative has a very strong root in promoting innovation and innovation culture.